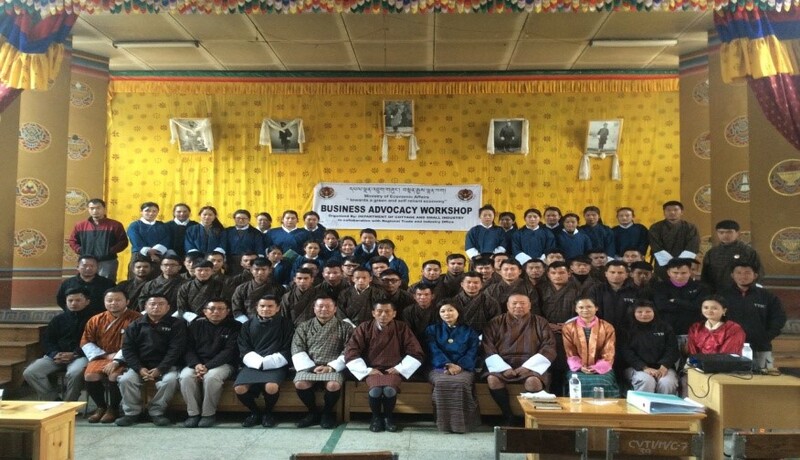 To disseminate information on the process and the procedure in starting cottage and small scale businesses, government policies, rules and regulations, incentives and other support services impacting Cottage and Small Industries (CSIs), the Department of Cottage and Small Industry conducted Business Advocacy Workshop (BAW) for the final year students of the Technical Training Institute (TTI) Chumey under Bumthang Dzongkhag on 12th March,2019 and Rangjung TTI under Trashigang Dzongkhag on 15th March,2019. The main reason for conducting such workshop would enable the trainees to start their own business in line with their vocational skills. A total of 247 final year students of Chumey and Rangjung TTIs attended the workshop.